The earrings have conjointly been adorned with scintillate white stone work and inexperienced beads and have red teardrop hanging that emerges from beneath the crown of the very fashionable jhumki. The prominent red colour of these intricately designed pair of earrings set in jhumki style, adds to their grace. 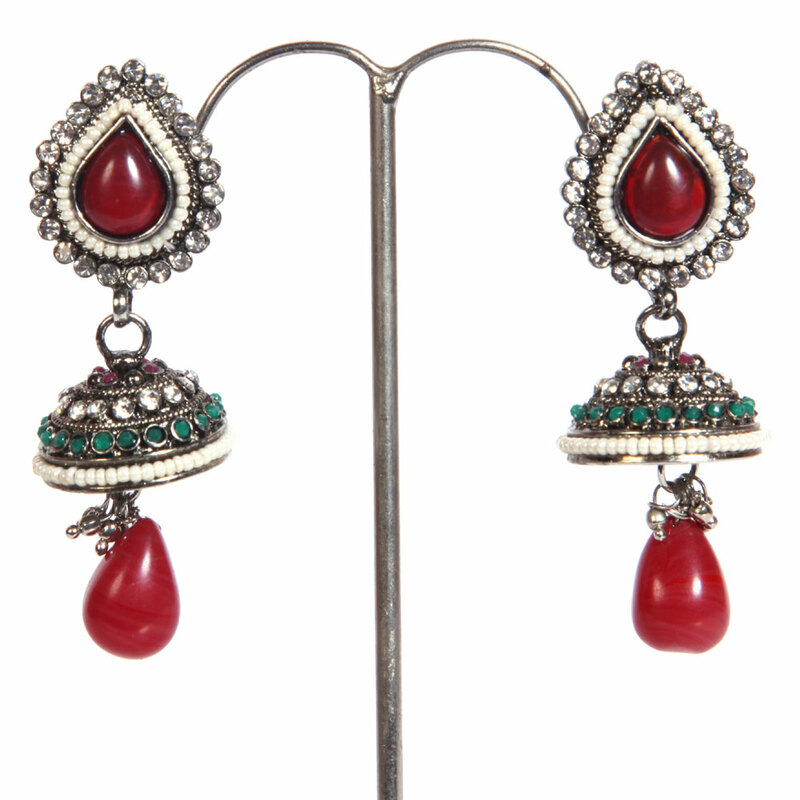 The earrings have also been adorned Read More..with glittering white stone work and green beads and feature a red teardrop hanging that emerges from under the crown of the extremely stylish jhumki. Show Less..